London - South Africa is still the preferred bidder to host the 2023 Rugby World Cup after officials said they had addressed in full "clarification requests" from rivals Ireland and France. Last week, the Rugby World Cup board said South Africa should be chosen after they gave it an overall rating of 78.97, compared with 75.88 for France and 72.25 for Ireland, across a range of criteria. Friday's announcement from World Rugby's Dublin headquarters said the complaints "do not impact on the detail or outcomes of the evaluation report nor on the subsequent recommendation". World Rugby chairperson Bill Beaumont added "the window for dialogue is now closed". The World Rugby Council will make the final decision when it votes in London on November 15. In a letter seen by AFP this week, Irish Rugby Football Union (IRFU) chief executive Philip Browne complained to World Rugby chief executive Brett Gosper saying Ireland's scoring has "suffered unreasonably relative to the scoring for other bidders". The evaluation report also prompted a furious response from Bernard Laporte, president of the French Rugby Federation (FFR), who said the body would be writing to Beaumont seeking corrections over a series of inaccuracies, including the quality of stadiums and hotels ahead of the final vote. "We are not rated as well over doping because they tell us that we are too strict," Laporte told AFP last week. "On security, we have the same number of points even though there are 52 murders a day in South Africa." Having repeatedly insisted, in the face of the criticisms, that its processes had been transparent and fair, global rugby chiefs said in its statement on Friday that they had addressed the "clarification" requests. 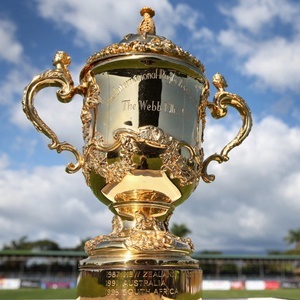 "World Rugby can confirm that it has addressed in full, clarification requests by the Rugby World Cup 2023 host candidates and Council members," the statement said. "These clarifications have been addressed with significant supporting detail, and have been shared with the host candidates and World Rugby Council," added the statement, saying they reflected "transparent principles" and "do not impact on the detail or outcomes of the evaluation report nor on the subsequent recommendation". Meanwhile former England captain Beaumont thanked the host candidates for their "feedback", adding "in order for Council to have appropriate time to consider all the materials, the window for dialogue is now closed".